As introduced by Sen. Jim Smith of Papillion, LB233 initially was drafted to make several technical changes to state tax law. Smith brought an amendment, AM707, to the hearing, which would replace the bill’s provisions and suspend three planned tax credits: one for child care and education providers and staff, another for investors in early-stage companies and a third for property owners. Gering Sen. John Stinner, chairman of the Appropriations Committee, said in his testimony that suspending the credits would save the state approximately $21.7 million over the next year. Testifying in opposition to the bill was John Cavanaugh of the Holland Children’s Movement. 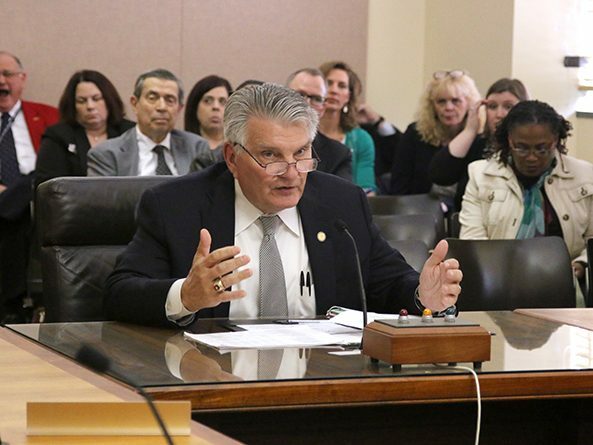 Cavanaugh said the suspension of the credit for child care and education providers would set back efforts to increase the quantity and quality of child care programs across the state. Only 39 programs currently qualify for the credit, which only became available this year, he added. Susan Snow, director of the Morning Star Preschool and Child Care Center in Omaha, also testified in opposition to the bill. Snow said that finding qualified staff members is difficult because of the child care industry’s low pay. Suspending the tax credit for child care and education providers would make it even harder, she added. “With these credits, we could do more for our families, our children and our staff,” Snow said. 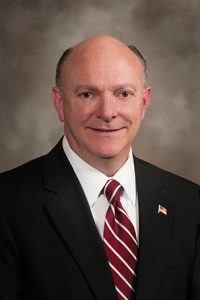 John Cederberg, speaking on behalf of the Nebraska Chamber of Commerce and Industry, the Greater Omaha Chamber of Commerce and the Lincoln Chamber of Commerce, provided neutral testimony on the bill. He said the chambers support the three tax credits that would be suspended but understand that the state is in a tough financial spot. “If you must go this way, for goodness’ sake don’t let it become permanent,” Cederberg said. The amendment will be considered by the Legislature once the bill is scheduled for floor debate.